Superior comfort for the ultimate extreme sport emthusiast! 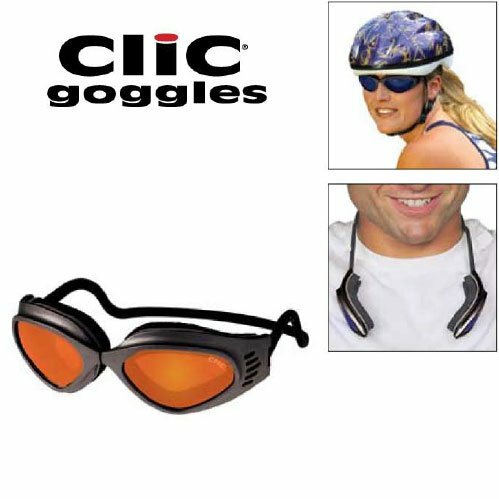 Clic Goggles are connected to a molded form-fitting headband rather than an ordinary elastic strap. Ladies/Kids, to wear-just snap the goggles together via the high powered neodymium magnet located at the nose bridge. To disconnect, just pull the eye pieces apart and hang them around your neck. Make these part of your extreme sport gear. Great for all snow sports such as skiing, snowboarding and snowmobiling. A must have for motorcycling, scooter riding, extreme biking, skateboarding, dirt biking and ATV activities. Clic Googles have been wind tunnel tested to stay together up to speeds od 130 mph! Comes in 3 great colors: Brilliant Blue, Iriduim Orange and Flash Mirror Gray. If you have any questions about this product by CliC, contact us by completing and submitting the form below. If you are looking for a specif part number, please include it with your message.